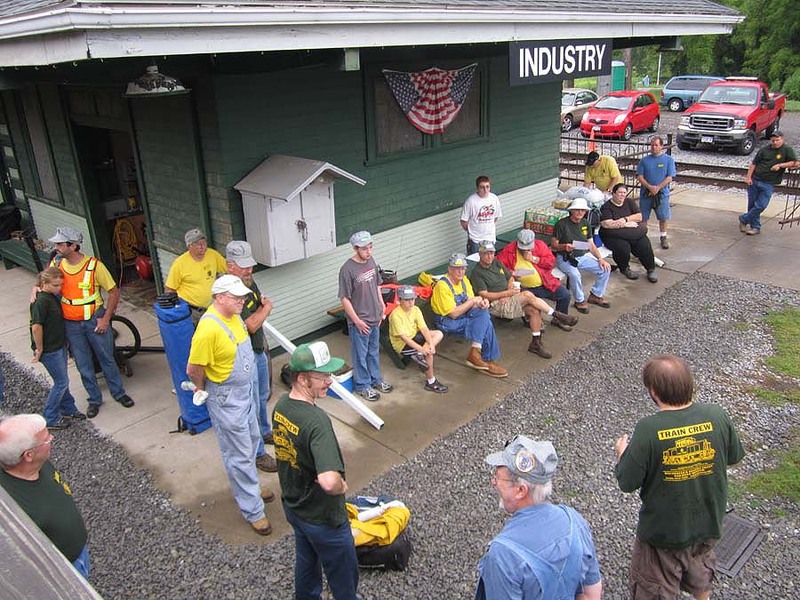 Our monthly membership meetings move to Industry Depot for the warm summer months! Our next meeting will be Thursday, May 21, at 7:00pm. Following the meeting we will be offering train rides on our museum railroad. We will also be giving tours of the Upper Yard and our Restoration Shop. These event are FREE and OPEN TO THE PUBLIC! Bring a friend! There will be a meeting for all museum volunteers at Industry Depot on Saturday, June 6, at 10:00am. The meeting will last approximately one hour. A private group has chartered our train for a birthday party that afternoon, so stick around if you’d like some hands-on training to become part of train crew. We officially open to the public on Fathers Day Weekend June 20-21! Enjoy a weekend of train rides, museum tours, and more. For our full schedule of trains and events, please visit Rochester Train Rides!